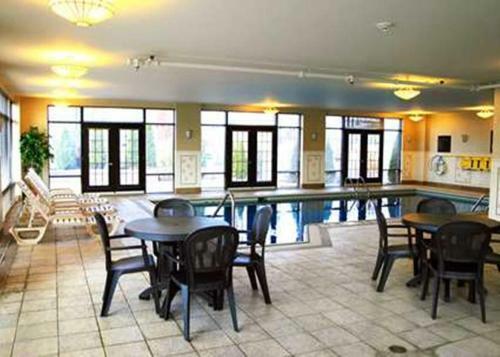 Providing the comforts of the suburbs and the excitement of nearby Montreal, this hotel is a short distance from popular points of interest and features a number of free amenities. Modern amenities, including an on-site fitness centre and free wireless internet access are standard at the Laval Hampton Inn. 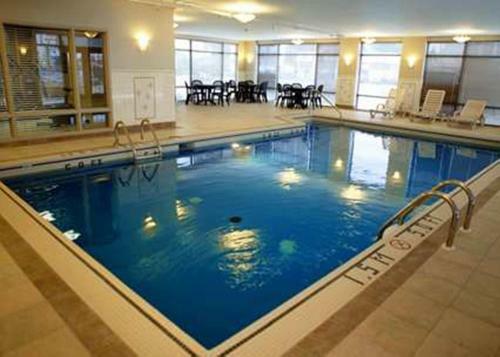 Guests at the hotel can also take advantage of the free hot breakfast buffet as well as the indoor swimming pool. The Hampton Inn and Suites Laval-Quebec ideally places guests within driving distance of Montreal city centre. The Montreal Casino and La Ronde Six Flags Amusement Park are about 24 minutes' drive away. Carrefour Laval Shopping Centre and the Cosmodome Space Science Centre are 8 minutes' drive away. 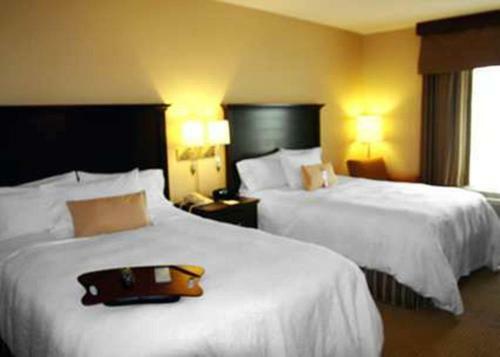 the hotel Hampton Inn & Suites Laval so we can give you detailed rates for the rooms in the desired period.